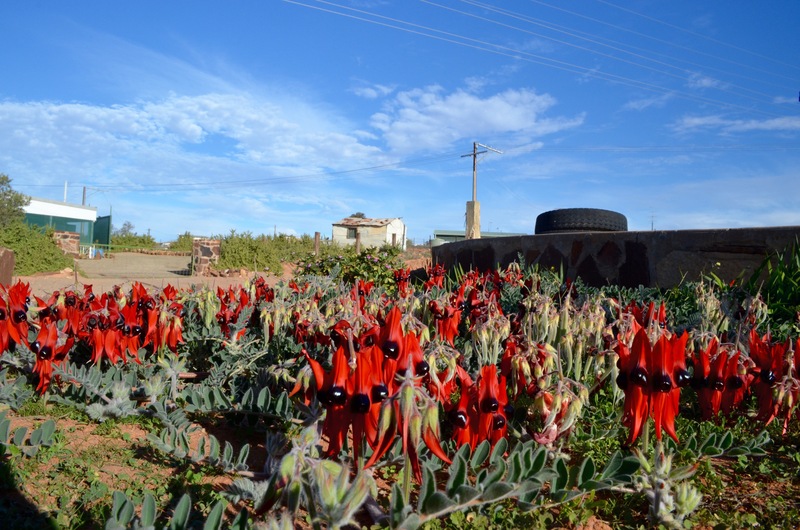 Roxby Downs, a station in the desert transformed by, and arguably owned by, Bhp Bullitin. Shiny houses with stones and mulch for lawns ( in appropriate desert fashion) lining neat and quiet streets. Few people and only the odd trace of a dog. Houses are not cheap and the car wash/launderette is for sale. The water is piped from the great artesian basin and comes to the town via the desalination plant ( courtesy of Bhp who uses 35 million litres per day). 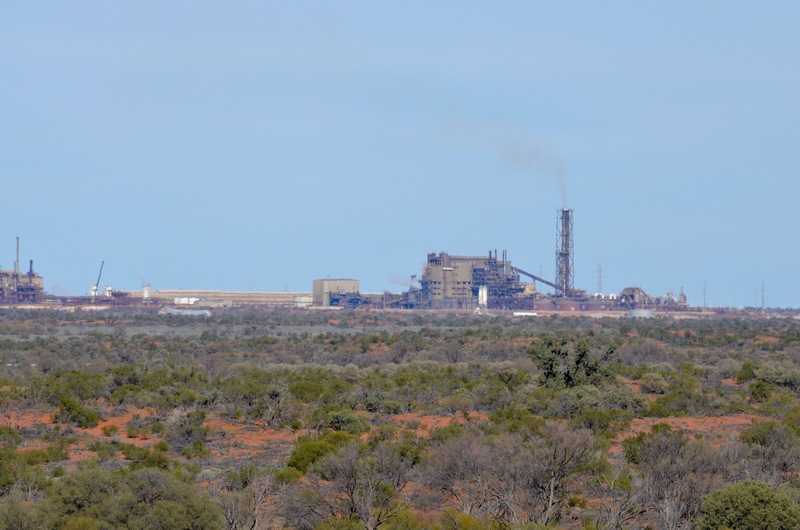 Electricity travels from Port Augusta and the town gets the left over power after the mine has had its fill – in summer the mine is hungry and the town goes dark. The town council is appointed by the State Government, not elected. The mine itself is the size of a small town and includes the underground, bit down to about 1km, and gi-enormous above ground 7 step processing plants for copper, uranium, gold and silver. 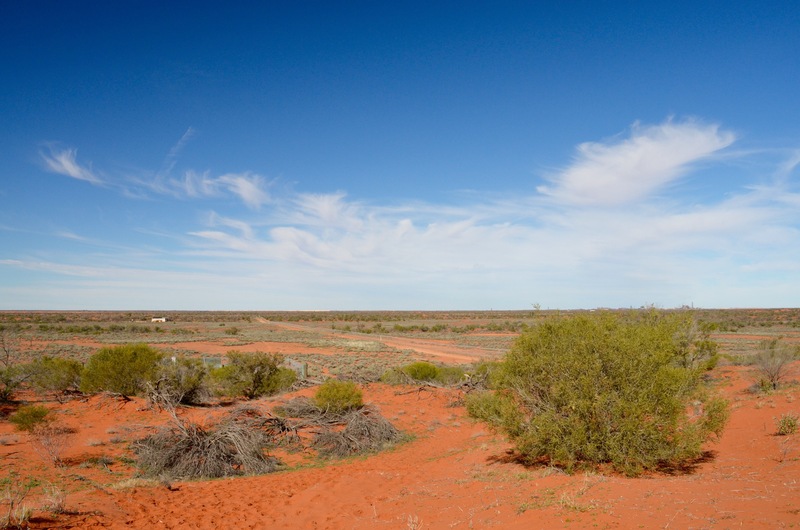 Copper is the big cash converter with uranium following up with the largest deposit, so far discovered, in the world. Silver and gold are considered added bonuses. The health risk management strategies for personnel and uranium dust seem comprehensive ……… but only as long as you are an employee of The Company. Long term follow does not seem to be an option. Watch this space Bhp. We took a tour of the mine site – firearms, drugs and cameras not allowed on site the sign said – the scene was that of a b movie set with huge dirty brown tanks, vats and boxes, connected by a matrix of huge dirty brown pipes ……. times at least twenty – all connected. The skyline was dotted by piles of boulders ( all potential ore); huge, huge grey pipes feeding air underground; the three mine shafts silhouetted against the skyline; and dozens of dusty Toyotas with flashing lights, driven by men in hard hats, goggles and grubby orange uniforms carrying payloads in red metal boxes labelled ‘explosives’. 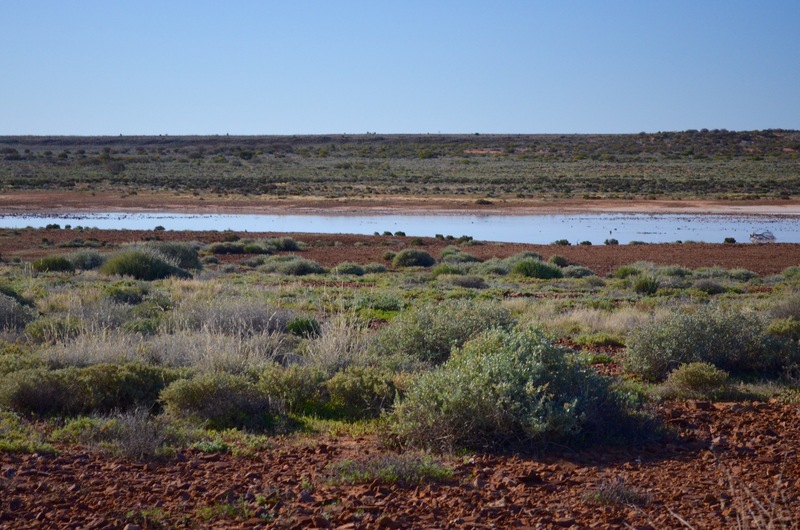 We then headed to the Arid Recovery – an arid ecosystem restoration project – http://www.aridrecovery.org.au – aiming to restore the ecosystem to pre-cat/fox/rabbit days. 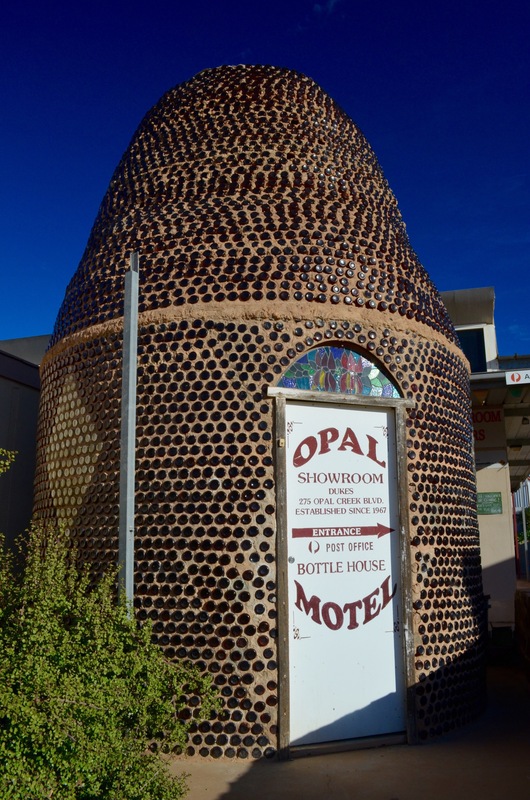 After lunch we headed to Andamooka – a small town populated by noodles seeking their evidently elusive fortunes and colourful characters choosing to not to live under the spotlight of government bureaucracy! However, there were no people nor dogs nor any signs of life in this small town. Free flu vaccines were offered and the teeny tiny post office, it’s walls lined with yellow phone books, sat with its door open and a note to call a number if assistance was required. The shiny new building housing the health centre was closed – call this number – said the sign on the door. 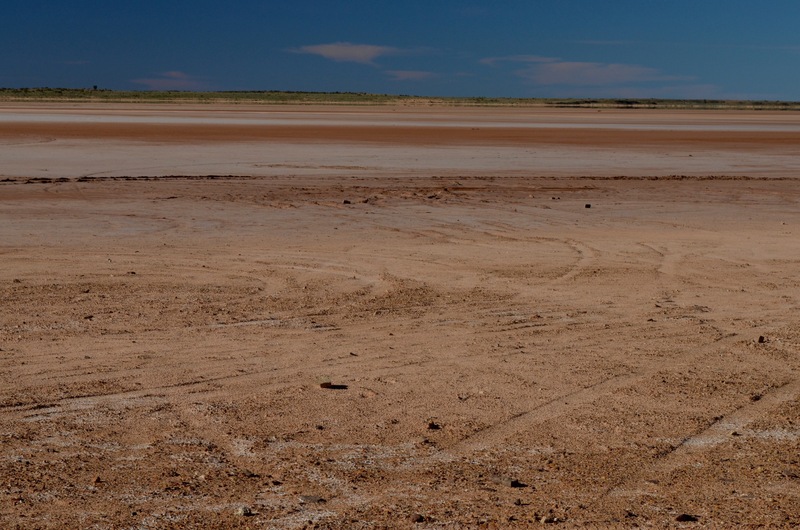 We moved on, crossing gibber plains, over dunes and through swales until we ran out of mapped track – well, onward until we met the edge of Lake Torrens – seemingly dry for the most part but with water shimmering in the distance and the tell tales ruts as others before had played in the clay pan. 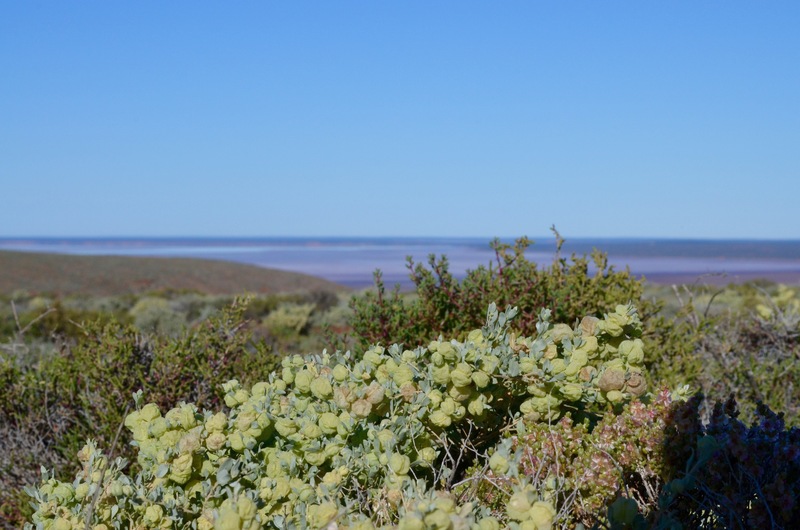 We set of early and headed north across mile after mile of desert peppered with saltbush and the occasional Mulga tree. Wedge Tailed Eagles and their offsider Crows’ dined on roadkill of every variety. The long straight road and the beating sun ( yes, it is warming up) together with a Dan Brown audio book created a soporific effect broken by the crackle of the UHF and the chewing of gum. 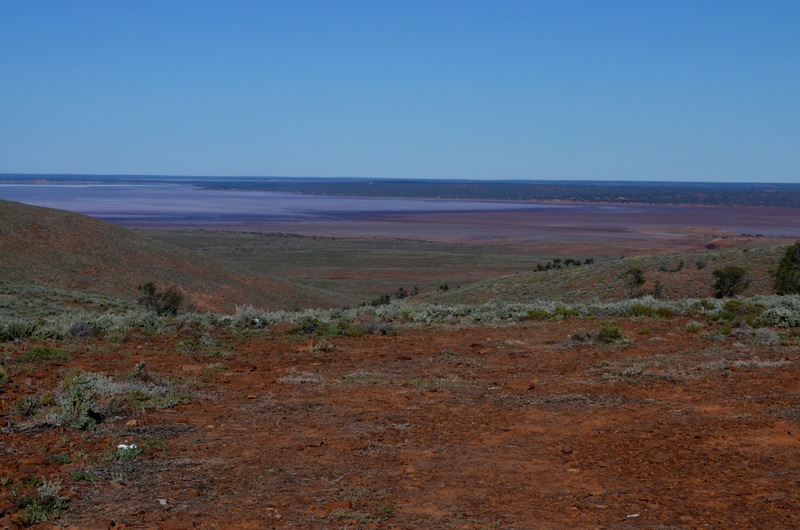 Endless gibber plains stretched in every direction – mounds 150 metres high are grandiosely called hills and ranges and almost break up the landscape. 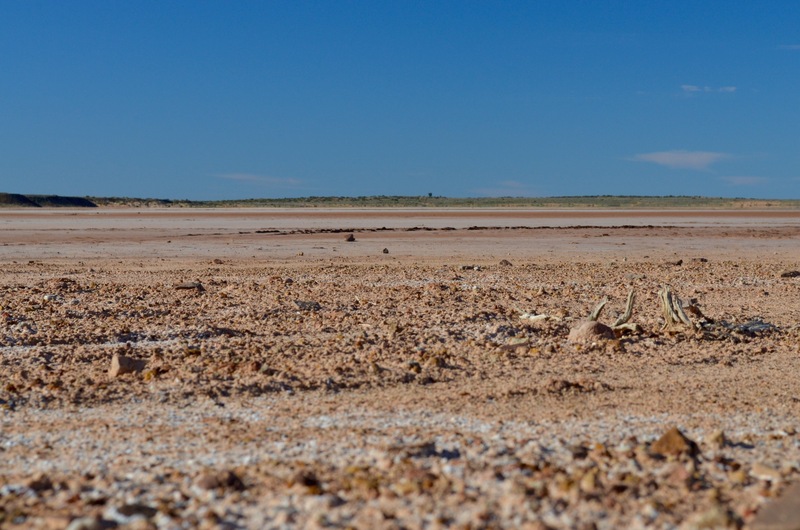 Coober Pedy, where every drop of water is piped in and is liquid gold, provides our dusty abode for the night.